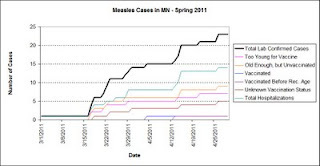 UPDATE: On June 8, 2011, the Minnesota Department of Health declared that the measles outbreak in Hennepin County is considered over. The outbreak involved 20 individuals who were all connected to a child who was infected in Kenya. In addition there were two unrelated cases reported this year. There have been 23 confirmed cases of measles reported in Minnesota, ranging in age from 4 months to 51 years old. There have been fourteen hospitalizations and no deaths. In short, there are significantly more cases so far this year (and all but two of them connected) than expected. There really shouldn't be any cases of measles at all, not if those who can be vaccinated actually were vaccinated. And the cost of following this outbreak and containing it is not cheap. To get an idea, take a look at how much it cost the medical system in Arizona to manage a 14-case outbreak in 2008. Two hospitals spent just shy of $800,000 to manage just half of that outbreak. $800,000 spent on 7 cases. That's an average of around $114,285 per case. Compare that to the cost of the vaccine: $50/dose. For $100, .1% of the cost to treat a case in the Arizona outbreak, the outbreak could almost certainly have been prevented. What was the vaccination status of the people in Arizona? All 14 of the cases were either unvaccinated or had unknown vaccination status. And measles is not a harmless disease (PDF link). Even if your child seems to pull through it without any great hardship, they may still, anywhere from a month to decades later, suffer subacute sclerosing panencephalitis (SSPE). This is caused by persistent measles infection in the brain. It causes alterations of behavior, loss of coordination and seizures. Your child may gradually lose their sight and ability to walk, eventually slipping into a coma. Within one to three years of diagnosis, he will die. There is no treatment, no cure. 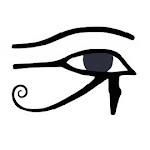 True, SSPE is rare. Chances are, your child will not fall victim to it. In developed nations that practice immunization, it affects, maybe, 10 individuals per year. It claims about 5-10 per million people who catch measles. Far more likely, your child will suffer from pneumonia (about 6 per 100 cases) or even encephalitis (about 1 per 1,000). In those cases, the effects are much more immediate, no prolongation of suffering, as with SSPE. With good medical care, there is a chance that your child will survive. Not 100% certain, but a good chance. Of course, one needn't worry about any of that. The vaccine is cheap, readily available and safe. There are, as with all things, risks, but compared to the disease, they are much, much less likely. Take encephalitis. It's about one thousand times more likely from the disease (1 per 1,000 from measles infection versus 1 per 1,000,000 from MMR vaccine). These outbreaks do not need to happen. We can stop them from happening, ever again, by vaccinating against the disease. The virus only lives and spreads among humans. Worldwide, if enough people are immunized, the virus will die, never infecting anyone else again. Ever. There will be no more outbreaks. No children dying. And with the eradication of the disease, no need for the vaccine. 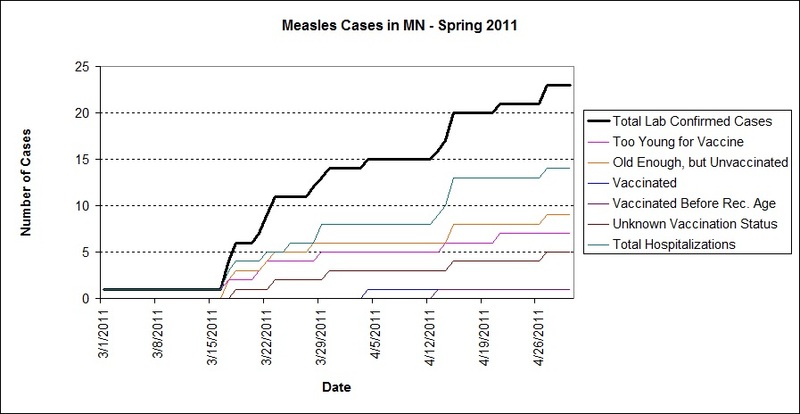 "Soft" Hospitalizations in Minnesota Measles Outbreak?